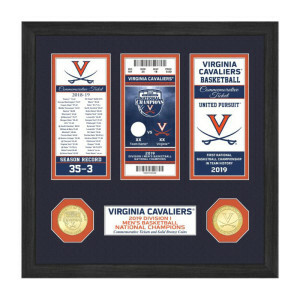 The Road to the National Championship is encompassed in this collectible frame with two minted commemorative coins! 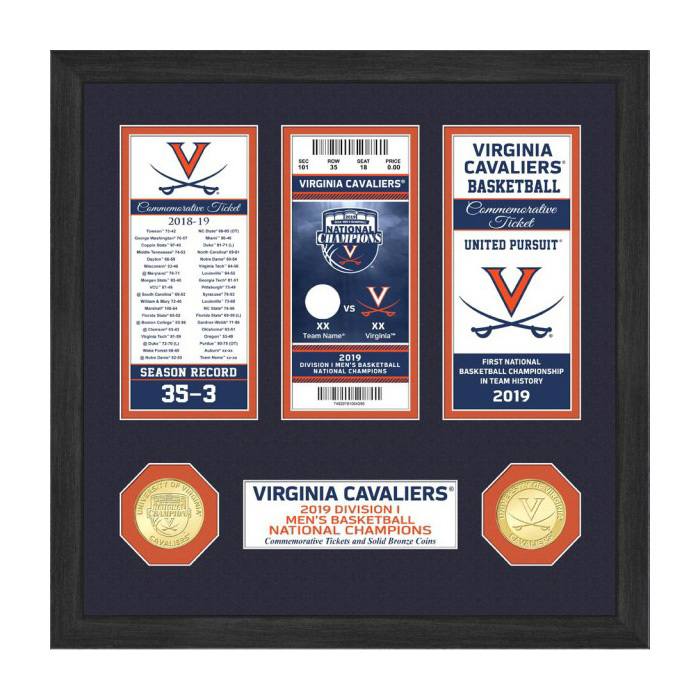 This 13'' x 13'' wood frame with double matting and a glass front panel features a commemorative ticket listing the Champions 2018-19 regular season games and scores, a commemorative championship ticket and a commemorative team ticket. Also matted in the frame is a 39mm solid bronze 2019 NCAA Men's Basketball National Champions commemorative coin and a 39mm solid bronze commemorative School coin. Officially licensed and a certificate of authenticity accompanies each collectible frame. Proudly made in the U.S.A. by The Highland Mint!